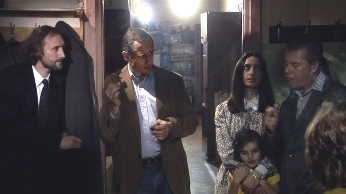 Sam Robards portrays Sasha Greenburg, a Russian astrophysicist, who returns to his native land after 17 years in exile. What he finds in the time of "Perestroika"  "the restructuring"  both surprises and disorients him. 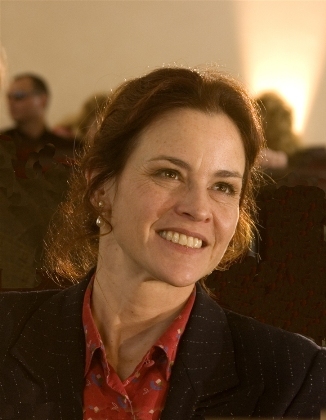 Ally Sheedy as Helen, Sasha's American wife, who after a whirlwind affair in Moscow lobbies the Soviet government to allow Sam's emigration. 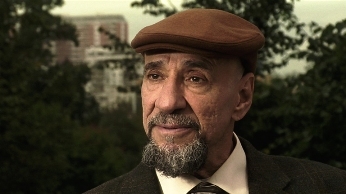 F. Murray Abraham as Gross, Sasha's mentor, who challenges his deepest convictions, first as a youth, and then later, when he returns from 17 years of exile. Jicky Schnee plays Jill, a young American filmmaker, Sasha's sometime-lover and companion. Jill has come to Russia to find documentary material on the country's environmental problems. The captivating Maria Andreyeva portrays Elena, the impetuous teenager who may or may not be Sasha's daughter. Oksana Stashenko plays Natasha, a female astrophysicist, the only one of Sasha's colleagues who refuses to denounce him when his announced plan to leave Russia puts him at odds with the authorities. Slava Tsukerman, acclaimed director of "Liquid Sky" and "Stalin's Wife," directs Sam Robards in the semi-autobiographical feature "Perestroika." Robards plays astrophysicist Sasha Greenburg, who like Tsukerman makes an unexpected return to Russia after many years in the US. Slava Tsukerman directs "Perestroika," shot entirely on location in Moscow. The film follows the return of Russian astrophysicist Sasha Greenburg to his native Russia after many years away, and parallels Mr. Tsukerman's own experience. 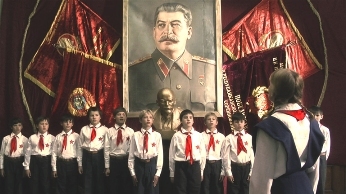 A group of boys teases young Sasha Greenburg about his Jewish identity in Slava Tsukerman's memory piece "Perestroika." 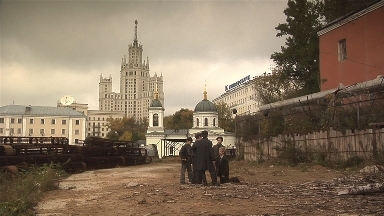 Writer/director Tsukerman recalls his own struggles in this semi-autobiographical feature, shot entirely on location in Moscow. 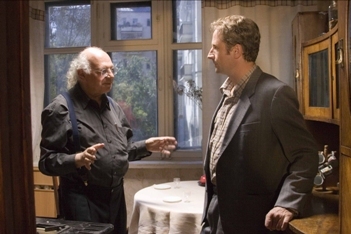 F. Murray Abraham as the aging Professor Gross dances with Elena (Maria Andreyeva) in Slava Tsukerman's semi-autobiographical drama "Perestroika." 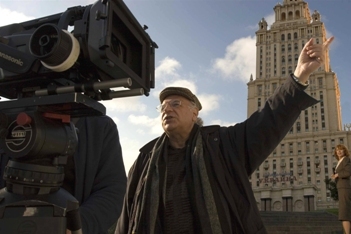 Shot entirely in Moscow, the movie recalls a period in the early '90s when Russian society underwent the upheaval of massive proportions: "Perestroika," or "restructuring." Visiting astrophysicist Sasha Greenburg (Sam Robards) listens to former countrymen as they rail about the overwhelming turmoil visited on their society during "Perestroika," the "restructuring." Slava Tsukerman, director of the cult classic "Liquid Sky," returned to his native land to film this story of disorientation in a time of massive change. Sasha Greenburg is indoctrinated into a group of young socialists in Slava Tsukerman's memory piece about his life under the Stalinist regime and the way it changed during "Perestroika" ("restructuring"). Mr. Tsukerman is the director of the cult sensation "Liquid Sky." A delivery of vodka nearly sparks a riot in 1992, as Moscow and all of Russia endures the painful restructuring of "Perestroika," Slava Tsukerman's semi-autobiographical drama about an astrophysicist (Sam Robards) who returns to his native land after an absence of 17 years.